Larga vida a la artista! 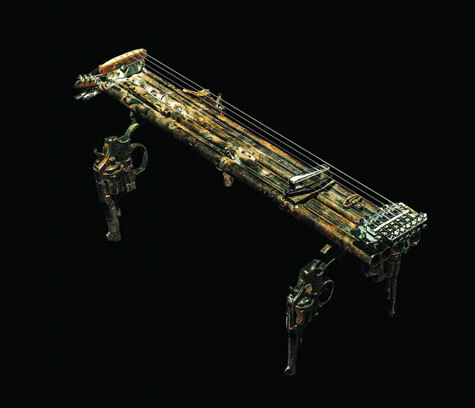 Talk about transformation and rebirth on a major scale – the Mexican artist Pedro Reyes helped take over 6500 weapons (pistols, rifles, machine guns) and transform them into working musical instruments. The resulting collection, titled Imagine, features 50 instruments that now create music instead of death. I applaud the Mexican government for destroying over 6500 guns and then allowing the parts to be converted into something amazing. Instruments originally used for killing have become something else entirely – when paired with musicians, the new forms create music. The transformed weapons are visually stunning, too. You cannot help but recognize pieces of weaponry but your relationship to them is hugely altered with the addition of strings, tuning keys, frets, etc. The magical death instruments look like a mash-up between the steam punk aesthetic and the wild wild west. Say Infernal Devices meets Deadwood. Be a pioneer and click here to add the first comment! Sir Richard Bishop, Audios Amigos, Ben Von Wildenhaus live at Mississippi Studios! Scott Hammond on We love you Bellingham! rswelling on We love you Bellingham! Hubba Hubba on We love you Bellingham! rswelling on Audios Amigos “The Reacharound EP” Streaming here!